Looking for the best bedding deals? A fresh new bedlinen set can completely transform the look and feel of a bed – and also your wallet if you over-spend. 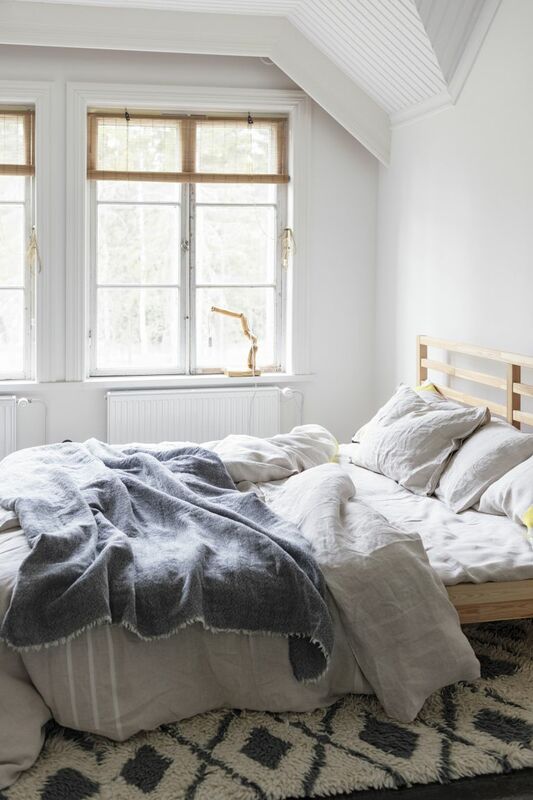 Whether you've recently changed the size of your bed and need new sheets or you're looking for some new patterned bedding to jazz up your bedroom, it's worth grabbing a bedding bargain while you can. Buying your bedding here is your best option, because we update this page regularly so you can grab the very best bargain. Find all the latest bargains on our deals page. Is my new bedding the right size? Is the bedding right for you? What do you need to know about bedding materials? Egyptian cotton is probably the most recognisable and with good reason, as its extra-long fibres make smooth, soft and durable sheets for maximum comfort and an indulgent feel. The majority of bedding sets will be made from cotton, or a cotton-synthetic or cotton-cashmere blend, but be sure to take a moment to think about the weave. Sateen is very soft, with a subtle lustre, while percale is more matt, with a crisp feel to it that’s perfect for those prone to overheating, or anyone wanting to achieve the ideal hotel bed linen look in their own home. When it comes to choosing pillows, natural fillings are a traditional choice that have stood the test of time, and for good reason. Duck and goose feathers and down feel soft and luxurious, giving you that extra-cosy sensation of sinking into your pillow. If you like the softness of down but not the heat, or you suffer from allergies or respiratory diseases, you can get synthetic fibre fillings that mimic the feel. For those who need more support, or just prefer the feel of a firm pillow, there are latex and memory foam which are also helpful for sufferers of neck or back pain. Perfect for ensuring freshness, mattress protectors not only keep your mattress stain free, but can also feature anti-allergy and heat regulating properties so you benefit from the best night’s sleep possible. The best mattress protector will be breathable and waterproof. If you suffer from dust allergies, you may need to consider a hypoallergenic mattress topper, and for an extra layer of comfort, a quilted or memory foam mattress topper is certainly worth considering. If you're going the full shebang and purchasing a new mattress too, consider mattress firmness. Mattresses range from soft medium; medium; medium firm; to firm and extra firm. Check out our down-to-earth mattress reviews for an honest opinion on all your favourite brands.